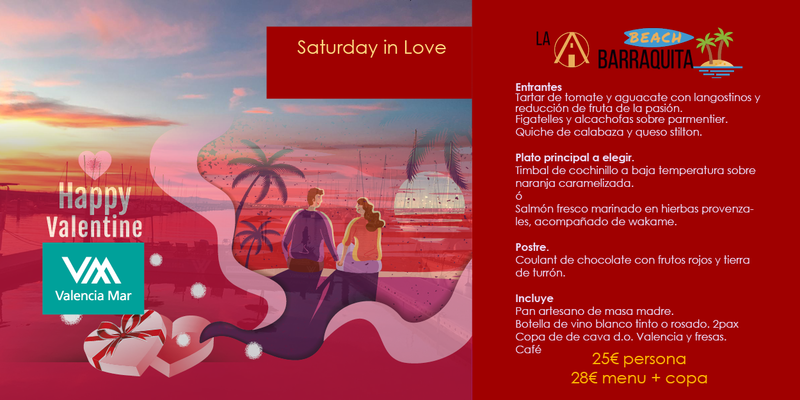 Come next Saturday, February the 16th to La Barraquita Beach to celebrate Valentine’s Day. We encourage all yacht lovers to spend an unforgettable evening. Enjoy our astonishing sunsetwith a glass of Cava and strawberries in our “little beach”. All this liven up with DJ music and a Zeeland gin tonic prepared by our cocktail maker.